1. 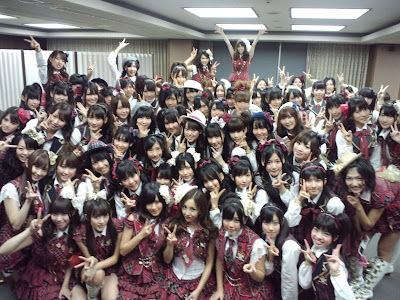 Your first impression of AKB48? I think that was my reaction back then. I knew AKB48 by accident. I saw a news in an entertainment site and it called AKB as "the biggest music group in the world". I was in the middle to know SNSD and I thought they have many members, but…AKB has A LOT MORE. Curious, I listened and watched "Sakura no Hanabiratachi". "It's not a girlband…it's a CHOIR" I told my friend and made fun of it. No, don't kill me Sayaka!